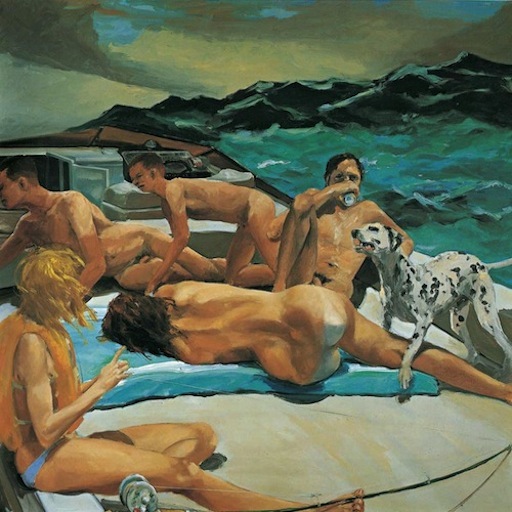 Eric Fischl, "The Old Man's Boat and the Old Man's Dog", 1982. 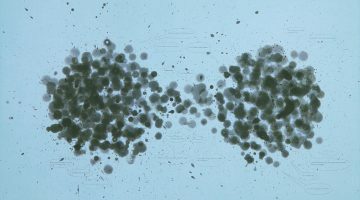 J.M.W. 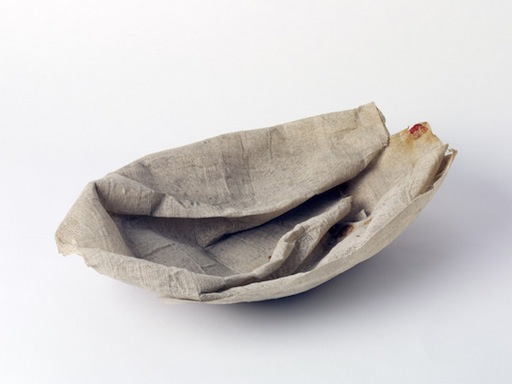 Turner’s sensationalistic white caps and listing ships are the archetype of boats paintings. The high seas drama genre peaked with Eugène Delacroix and Édouard Manet, concurrent with what is referred to as the Golden Age of Sail between the years 1830 to 1880. 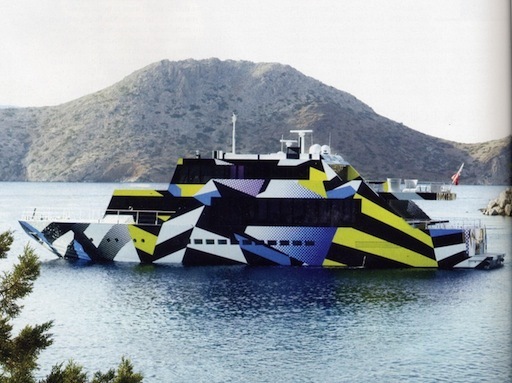 When sail-powered trading gave way to steamboats, so did art’s love affair with oil paintings starring boats. 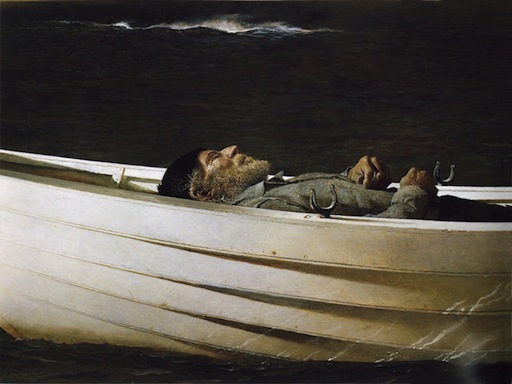 (Thomas Eakins’s dingies and skulls are an exceptional case, but Eakins was an exceptional painter and totally DGAF.) International trade is still mostly moved by boat, but it’s difficult to romanticize shipping containers. 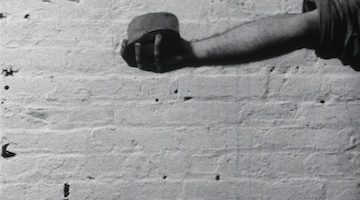 Eva Hesse, No Title, 1969. 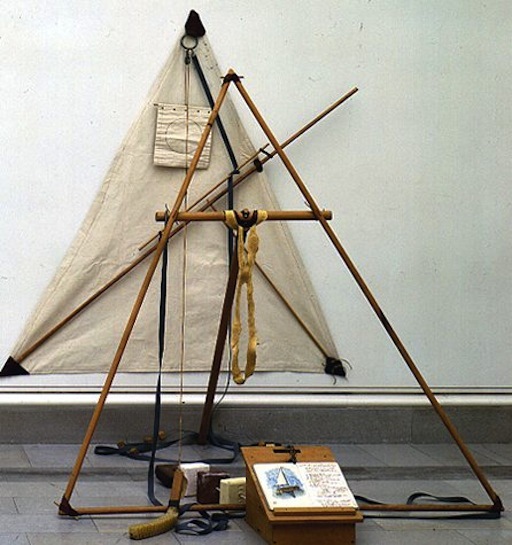 William T. Wiley, “Ship’s Log”, 1969. 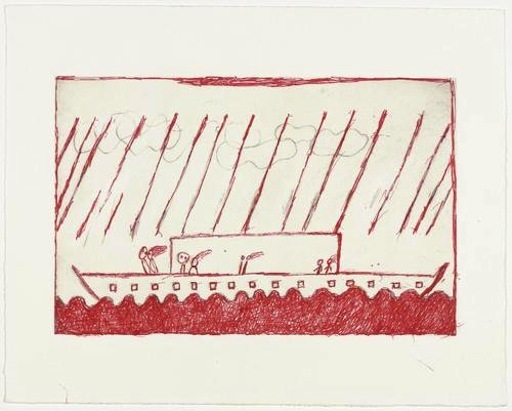 Louise Bourgeois, “Rain on a Boat, state II”, 2002. 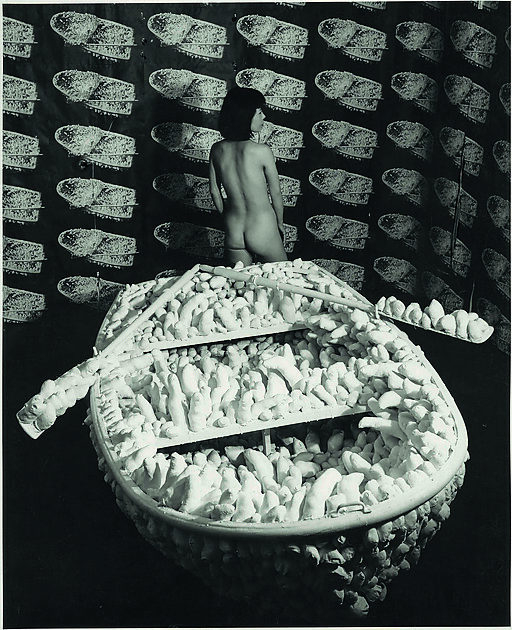 Yayoi Kusama, “Kusama posing in Aggregation: One Thousand Boats Show”, 1963. 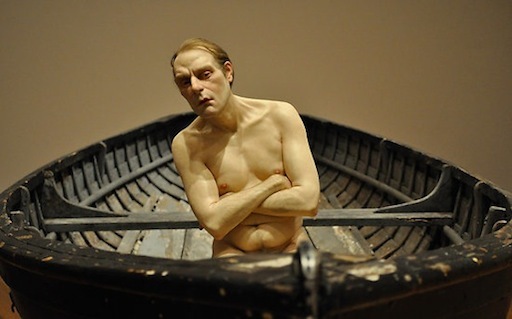 Ron Mueck, “Man In A Boat”, 2002. 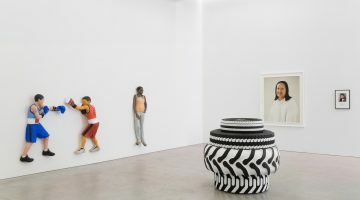 Mixed media – 1/3 scale naked man seated toward the prow of a 4-metre-long rowing boat. America’s Cup World Series, San Francisco, will hold regattas through Sunday, October 7. San Francisco’s Fleet Week will hold events from Thursday, October 4, through Tuesday, October 9, when the ships depart.